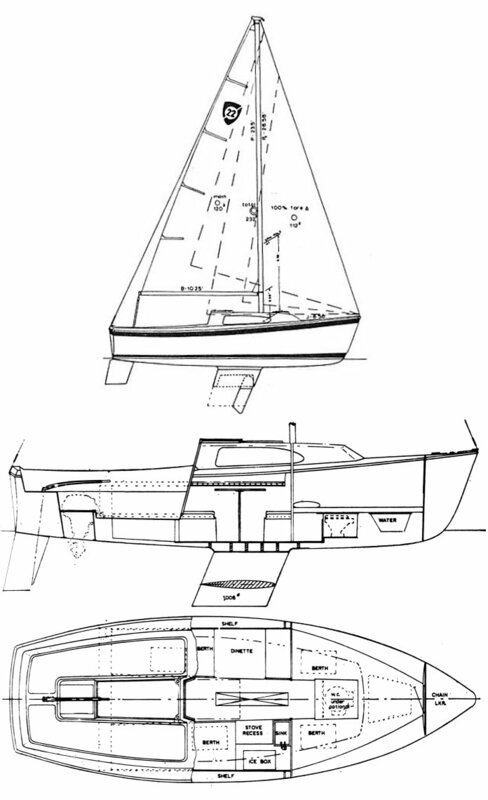 Boats built after 1969 differed slightly in the location of hatches and the introduction of an outboard well. A keel/centerboard model was also available though they are said to exist only in small numbers. Draft for CB version: BU: 2.5'; BD: 4.83'. The CORONADO 23 (MKI) is similar but with a different coach roof. In the mid-70's, some were built to this design under license in Australia. Later they were also available as kits under the Sailcrafter brand.